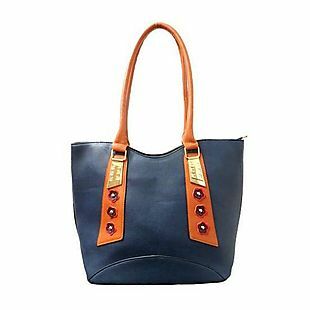 This Vintage-Style Handbag, originally $119.99, is on sale for $19.99 at Barbados Leather. Shipping is free. We couldn't find this deal anywhere else, but similar ones start at $30. Sales tax is charged in most states. 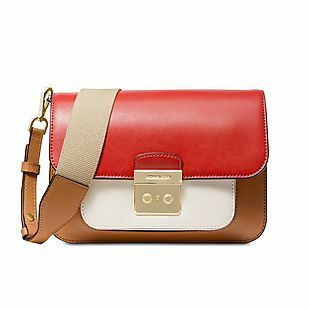 This Square-Cut Crossbody, originally $119.99, is on sale for $29.99 at Barbados Leather. The price falls to $19.99 when you enter code brads10 during checkout. Shipping is free. We couldn't find this deal anywhere else, but similar ones start at $25. Sales tax is charged in most states. 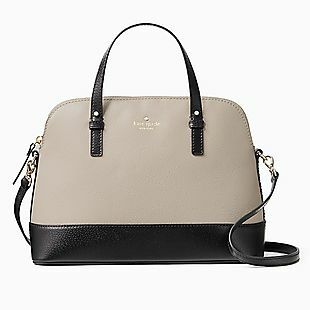 Today only at Macys.com, the pictured Coach Metallic Coated Canvas Turnlock Crossbody drops from $195 to $117 to $78.39 with code FLASH, and the Alexa Metallic Leather Turnlock Clutch drops from $225 to $135 to $90.45 with the same code. With free shipping, these are the lowest prices we could find. Sales tax is charged in most states. 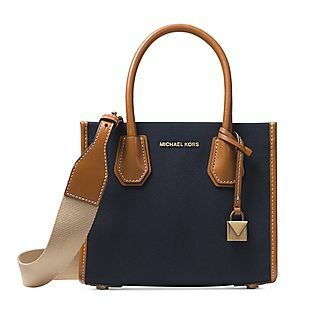 This Michael Kors Sloan Editor Colorblock Shoulder Bag, originally $298, drops from $178.80 to $119.80 with promo code FLASH at Macys.com. With free shipping, this is the lowest price we could find by $45. Choose from two colorways. Sales tax is charged in most states. 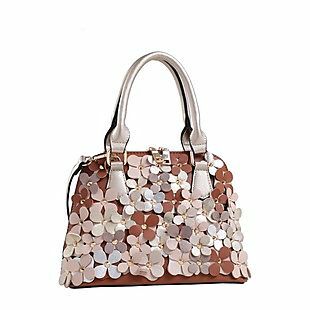 This MKF Floral Satchel from MKF Collection drops from $269 to $39 when you enter the code BDSFLOR18 at checkout. Other retailers sell this for $58. Plus shipping is free when you choose free shipping at checkout. 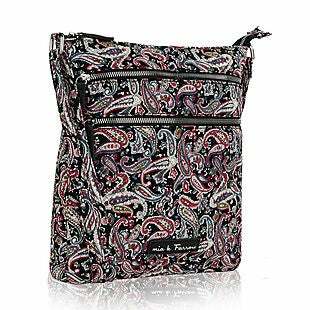 The faux-leather bag measures 8.5" high x 7.5" long x 4.5" deep and comes in four colors. Sales tax is charged in most states. 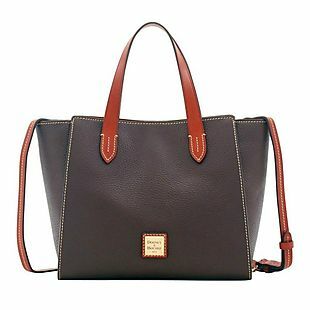 This Whitney Polished Leather Chain Shoulder Tote, originally $298, drops from $178.80 to $119.80 with promo code FLASH at Macys.com. 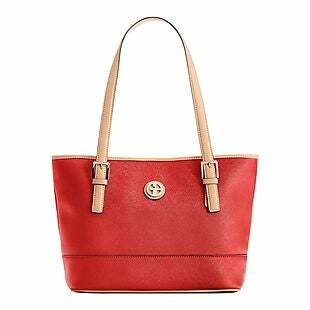 There's also a Bicolor Whitney Bag that drops to the same price with the same code, and a Signature Whitney Bag available, once $298, now $116.93 (no code needed). With free shipping, these are the lowest prices we could find by $29-$32. Sales tax is charged in most states. 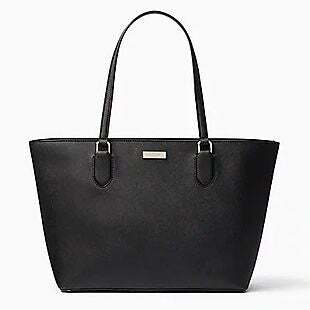 This Giani Bernini Saffiano Tote lists at $99.50, but you can get it for $29.85 when you apply the code FLASH during checkout at Macys.com. Shipping is free on orders over $75. Otherwise, it adds $9.95. It has a magnetic closure and is large enough to hold a 15" laptop. This style is only available at Macy's. 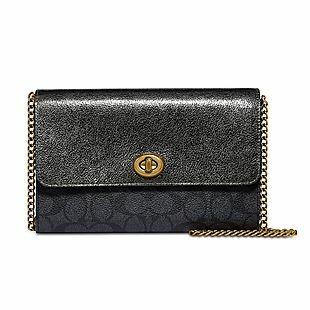 Note that the same code gives you an extra 60-70% off more handbags in the one-day flash sale. Sales tax is charged in most states. 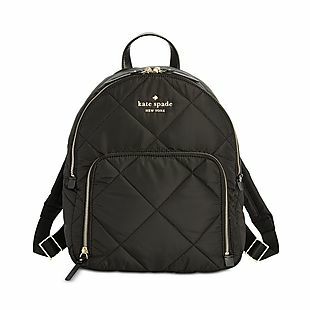 This Kate Spade Watson Lane Quilted Hartley Backpack lists at $228 and was already on sale for $136.80, but you can get it for $91.66 when you apply the code FLASH in your cart at Macys.com. Shipping is free. That's the best price we can find anywhere by about $40 for this style. 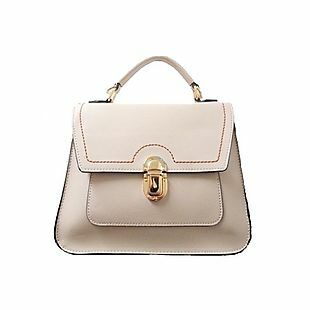 This is part of the one-day handbag flash sale, where select styles fall to 60-70% off list price. Sales tax is charged in most states. 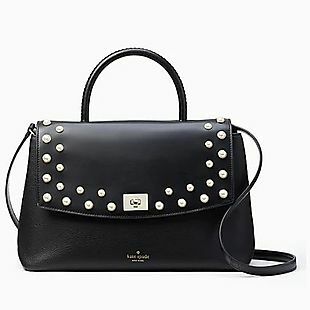 Today only, get 60-70% off select handbags when you apply the code FLASH in your cart at Macys.com. Shipping is free on orders over $75. Otherwise, it starts at $9.95. 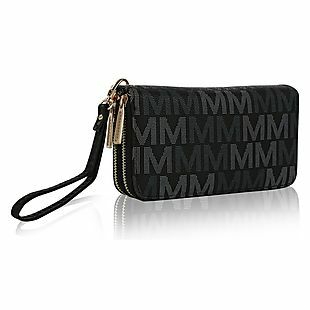 The promotion includes this Michael Kors Mercer Canvas Crossbody, which lists at $228. It falls to $91.66 with the code. 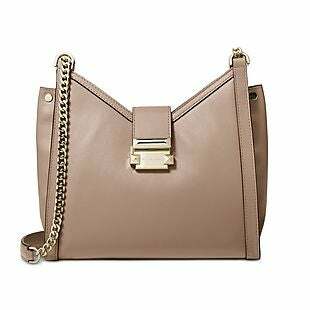 This Nine West Shoulder Bag falls from $89 to $26.70. 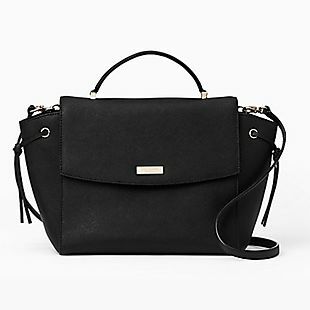 This DKNY Hutton Satchel falls from $178 to $71.56. Those are the best prices we can find anywhere. Note that the code applies a discount to the original price. Sales tax is charged in most states. Through 3 a.m. ET on 4/24, get 25% sitewide and free shipping from Baggallini when you use our code 25BRADBAG during checkout. 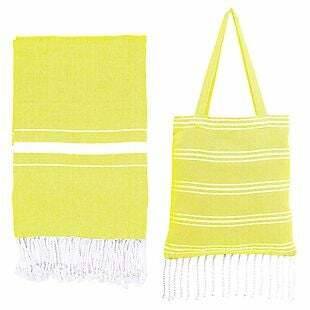 Plus receive this reusable shopping bag for free when you use code EARTHDAY at checkout on orders over $75. Note the free gift is only available until 11:59 p.m. on 4/22. 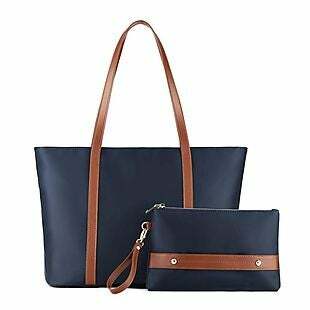 The pictured 3-in-1 Convertible Backpack with Wristlet, originally $128, drops to $96 with the code. It comes in three colors. This RFID Festival Bag falls from $48 to $36 during the sale. Sales tax is charged in most states. 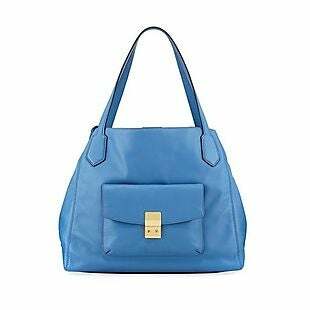 This MKF Collection Belmey Hobo Bag drops from $259 to $39 when you enter code BDSBEL19 at MKF Collection. Plus it ships for free. This is the best price we found by at least $9. 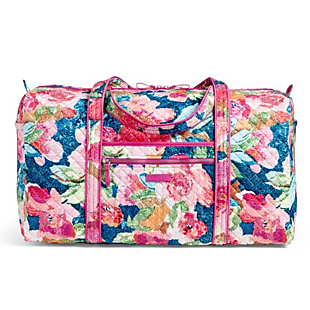 It measures 16.5" x 12" x 5", and it has a removable, adjustable shoulder strap. Made of faux leather, it comes in six colors. Sales tax is charged in most states. 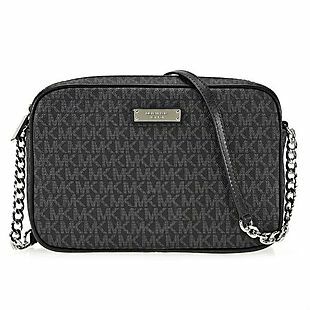 This MKF Collection Geraldine Quilted Messenger drops from $89 to $26 when you enter code BDSGER18 at checkout at MKF Collection. Plus it ships for free. This is the best price we found by at least $4. 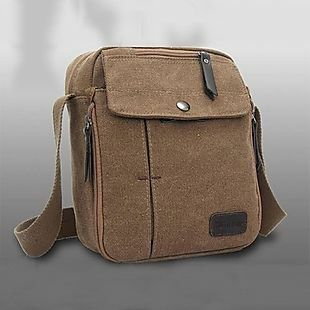 It measures 11" x 12.5" x 1", and it has an adjustable shoulder strap. It comes in more than 10 colors. Sales tax is charged in most states. 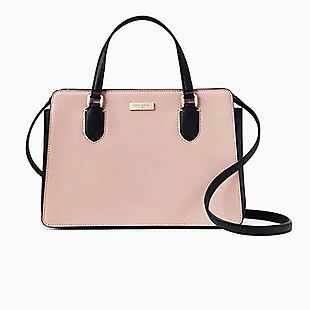 Neiman Marcus Last Call takes an extra 50% off select styles. Prices are as marked. 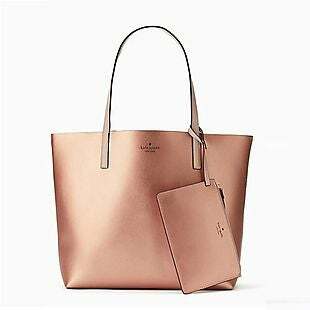 The pictured Cole Haan Allanna Work Leather Tote Bag, originally $320, drops from $288 to $144. And check out the Neiman Marcus Harley Slim-Fit Ankle Jeans in sizes 2-16, once $129, now $38.15. These are the lowest prices we could find. Shipping adds $7 or is free on orders over $99 when you enter code LCSHIP at checkout. Sales tax is charged in most states. 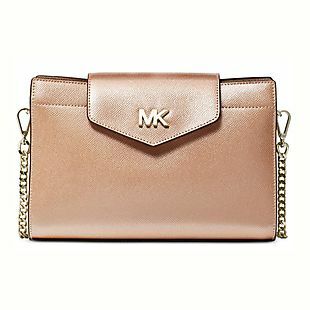 Originally $168, this Michael Kors Jet Set Large Signature Crossbody in the pictured color drops from $99.99 to $79.99 at JomaShop when you add promo code BRADMK20 at checkout. Plus it ships for free. That's the lowest price anywhere by $29, and most sites are charging full price. Choose the black color for this price. 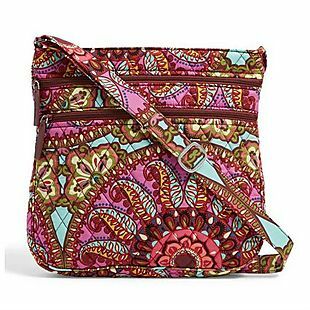 This bag has an adjustable crossbody strap. It measures 9.5" x 6.5" x 2". Better yet, there is no sales tax (except NY).